If you’re making truffles for someone as a gift, it’s probably not the best time to experiment. But that didn’t stop me. 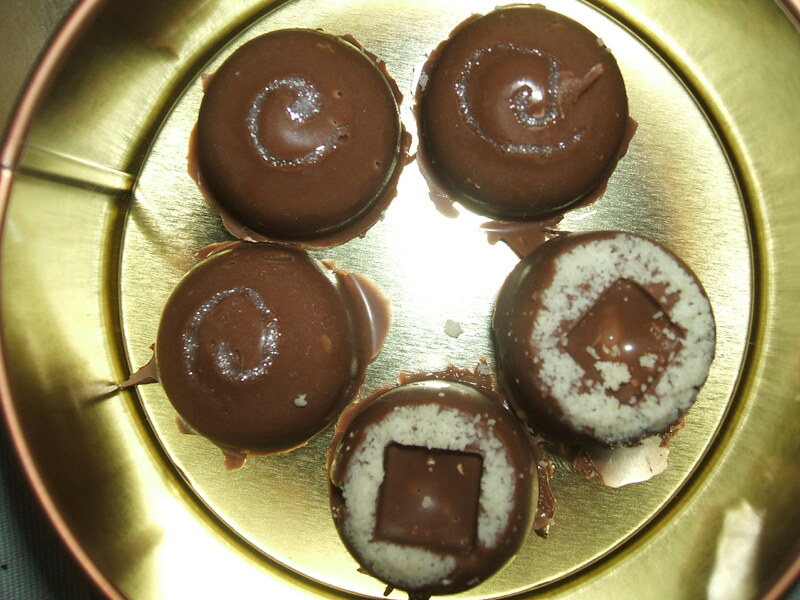 I decided to make two different types; Amaretto centre, with ground almonds on top and plain milk chocolate filled ones decorated with a white swirl. I put the white swirl in first, as the writing icing I was using was quite soft, and I thought the chocolate might help it set. It didn’t. Lesson learned! After coating the moulds with melted chocolate, I made the ganache. To do this, I poured 60ml of boiling cream over 75g of well broken up chocolate and mixed frantically until smooth. 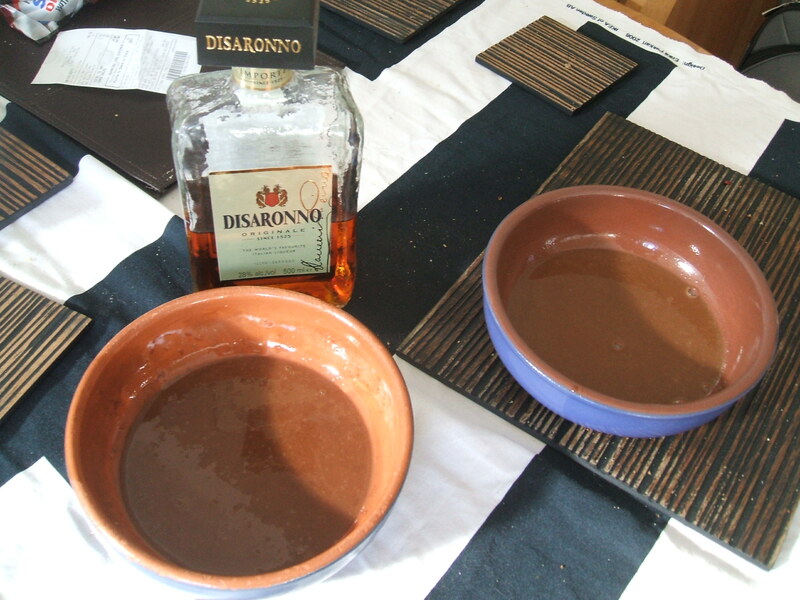 Then I split the mixture in two and added Disaronno to one half. I was using Wilton Candy Melts. 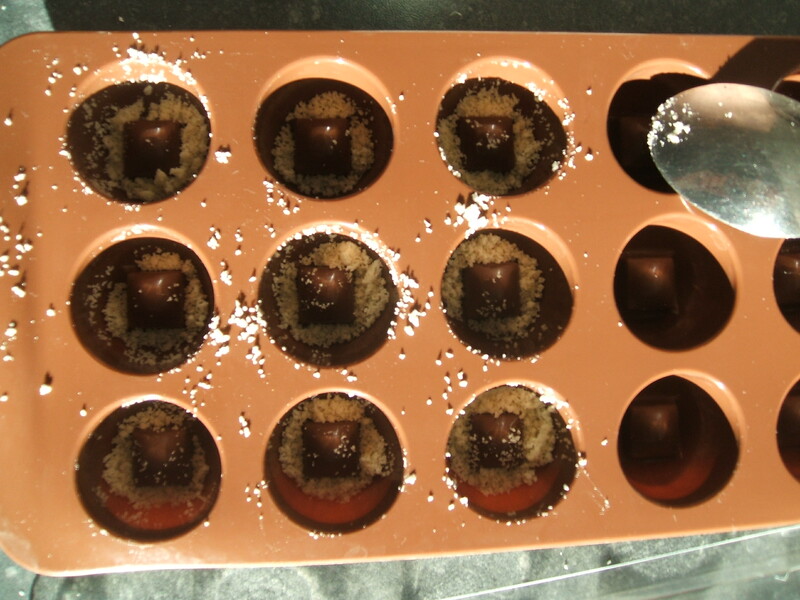 They’re really easy to use and brilliant for coating and making solid chocolates. However, it turns out that if you try and make a ganache with them, they don’t really solidify. 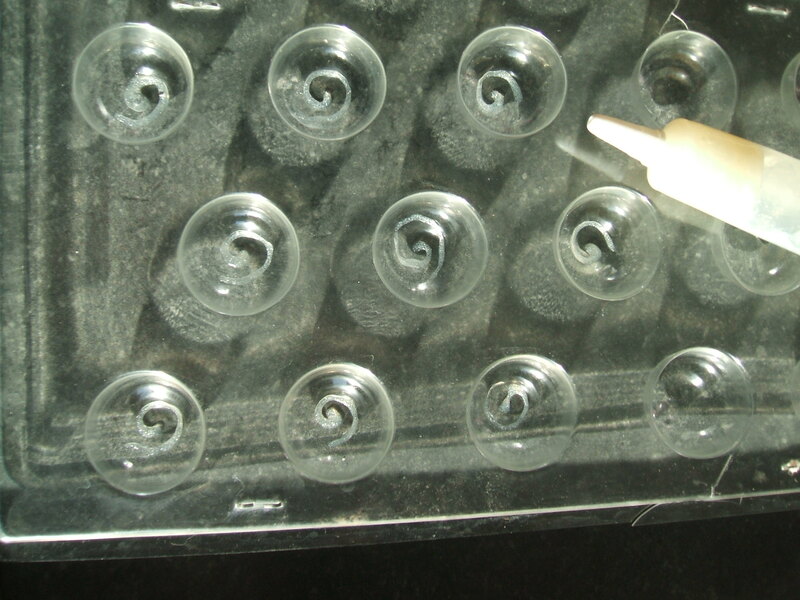 So I ended up making chocolates with almost-liquid centres. Which was unexpected, but really nice. Need to practise neatening the edges, but I think they turned out pretty well. « Weekly Inspiration- Kirstie being back on 4!